The Canadian Society for International Health (CSIH) with funding from Liver Care Canada and Merck & Co Inc. in collaboration with Correctional Services Canada, launched the Correctional Services Canada Poster Contest to mark World Hepatitis Day on July 28th 2017. The contest was open to both male and female federal inmates of Canadian prisons. 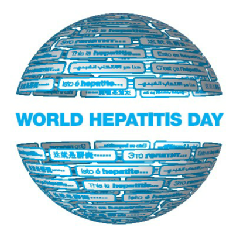 The winning posters will be used for the upcoming 2018 World Hepatitis Day campaign. Click here for the full list of this year’s CSC Poster Contest winners. This year, CSIH with funding from Liver Care Canada and Merck & Co. Inc, and in collaboration with the Canadian Centre for Gender and Sexual Diversity (CCGSD) (http://ccgsd-ccdgs.org/ ) are co-hosting a WHD Youth Art Contest. This contest is open to all youth across the country from 14-19 years of age. Submissions will be placed in 1 of 2 categories for the WHD Youth Art Contest, these are 14-16 and 17-19 years of age. Poster submissions in both official languages are welcomed. Please note the important additional information that can be found in the Contest Guidelines here: Consent Guidelines and the Consent Form can be found here: Consent Form.